Take a moment and try to imagine this scene. You are locked in a serious darts competition. You are on your game, and this is the game you need to win to win it all. You throw for the first triple you need, and BANG..it's in!. Then you throw for the second triple, and WHUMP dead centre! You then turn your focus to the double that will it all. Your draw the dart back and think "wouldn't it be awesome if i won this!" 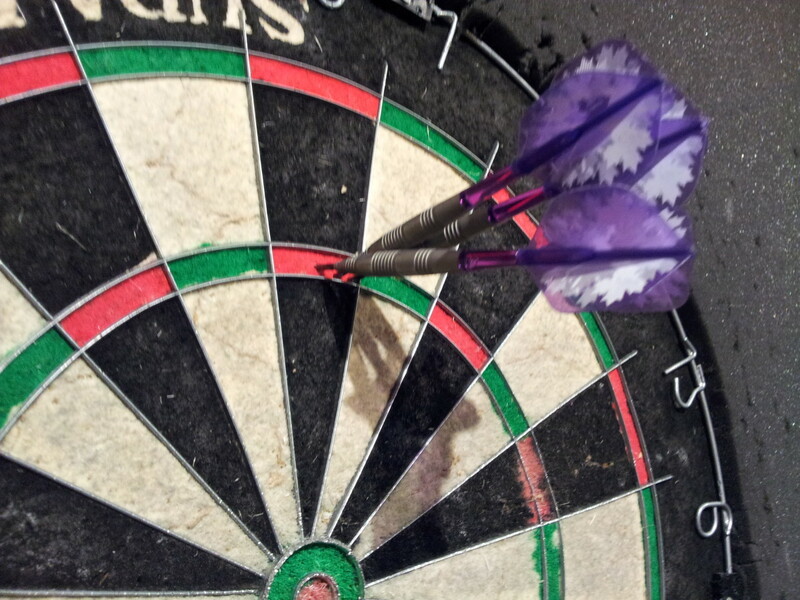 and next thing you know your dart is nowhere near the double and then you blink and you've lost the game? It wasn't even a bump or a screech a clatter or a flash of light that distracted you, just a simple forward,future thinking thought that popped in your mind that broke your concentration and threw you off your game. Now of course it isn't always this catastrophic, but no doubt the ability to maintain focus and concentration is one of the biggest factors with all else being equal in deciding who wins and who loses. 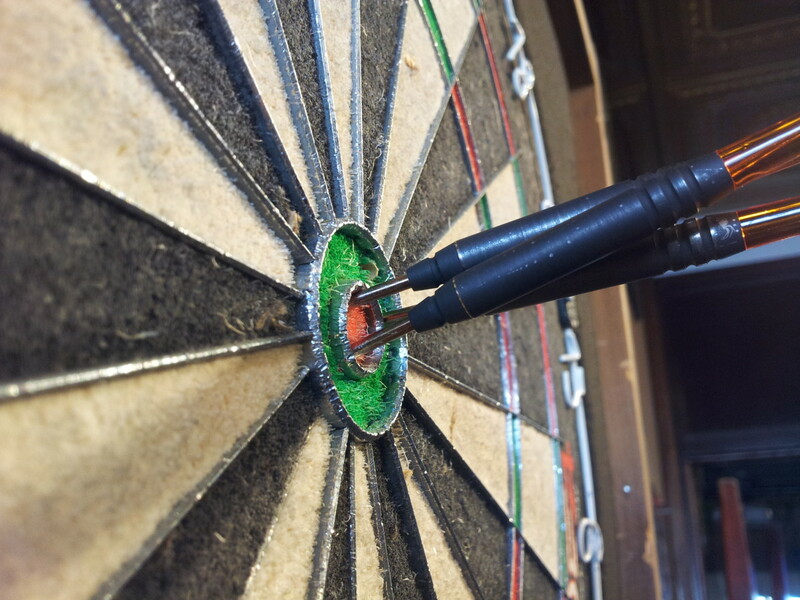 This article will explore ways you can develop and improve your ability to focus and concentrate while playing darts. Like most learning in darts you might not get instant gratification but it will give you some tools and strategies to help get you on the right track. Some of the information presented here might not seem to directly relate to improving your focus and concentration, but I would invite you to consider these things as being part of an interactive system of cognition, emotion and physicality and that you will get better results if you take care of how you function in darts in a more holistic fashion. In short focus and concentration is not something you can improve by furrowing your brow and squinting your eyes. There are other peripheral and contributing factors as well, and being aware of them and taking care of them in a positive manner will most certainly help your dart game. If you are hard at work trying to eradicate all that is bad or inconsistent with your game,especially if it ties into your general consistency you might want to stop and reconsider what you're doing. Your brain at a subconscious level isn't so keen on the whole 'not' idea. 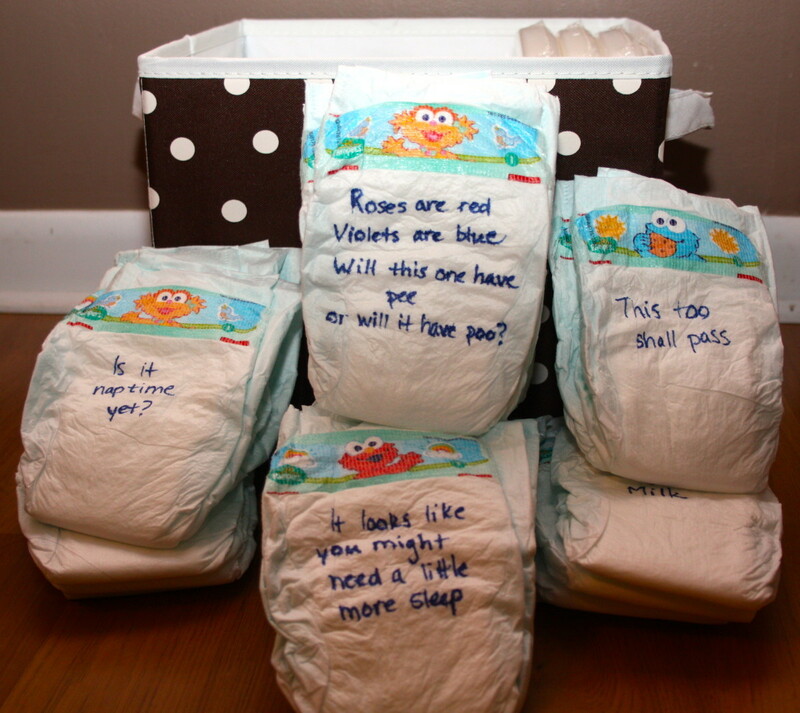 Even at a conscious level we can see this by the simple task of not thinking about pink elephants. Give that a try to ask yourself if it will go any better with darts? Obviously you want to break bad habits in darts, but that is done through working on and strengthening the positives. Anything else is just beating yourself up, and the only thing that can accomplish is eroding your confidence and taking the fun out of darts. There is a trap that dart players fall into where one feels that there should be a certain level of play they should maintain, and not shooting at this level is a source of frustration. Yet, couldn't one argue that this is goal setting and having a standard gives you something to strive towards? Goals are a good thing, but by their nature they are a future thing. For good or bad your dart game is as good as the dart you just threw. Throw the best you can and know you did the best you can at that moment in time. If the darts aren't going where you want them to, it is practice that will help, not beating yourself up over it. Lesson two: Arbitrary standards and expectations of yourself can undermine confidence and focus. Until scorers start giving twenty point bonuses for the most impressive self flagellation, the best policy is let it have a policy of just accepting the results and moving on and never beating yourself up for trying your best. We have all heard of the 'fight or flight' option that happens when we are presented with danger, but what is less talked about is the freeze option. Now of course unless you play with particularly hostile people a game of darts isn't something that one would consider a danger situation. Surprisingly though, much like other forms of competition darts can elicit a danger response. This is rooted in past bad experiences and negative reinforcement that turns into a dread of 'getting it wrong again' . There are a lot of things that can be done to combat this, much of which involves being positive and fair to yourself, but there is one thing you can do on the oche that will have a have a positive effect, possibly even a hugely positive effect. Do you ever wonder why they call it 'choking'? It's because the perceived emotional 'danger' that is triggered by being in the competitive situation elicits a freeze response and you literally stop breathing. Make sure you are breathing normally during your entire throw. Lesson Three: You can counter-act some of the 'fight or flight' fear response by simply remembering to breath. Try it and you'll see everything will work much better, you will feel calmer and you wont get sore quite as quick. You might also be wondering if there is anything you couldbe doing off the oche and even outside of darts that might help you and indeed there are. Meditation and Yoga is a good and maybe obvious choice. Working on a model kit: dealing with the small detail can develop your focus. Find a bunch of something small, like the hairs on your arm or maybe a bowl of peanuts or a patch of grass on your lawn. Try looking at them, one by one without skimming or skipping over any. It's tougher than it sounds! Pick a inanimate object and see how long you can look at it without looking away. Make a point of finding some quiet time to sit and relax and stare into space. Recharge! Lesson Four: There are things you can do off the oche that will help develop and build your focus and a couple of them are even enjoyable! Of all the things you can do and of all the positive attitude adjustments you can make there is one thing that can help more than anything. That is combining purposeful,directed solitary practice along with playing against the best competition you can find. Now you don't have to practice for hour and hours and hours, but you should practice as often as makes sense for you and your life. Doing this, first of all because you will simply get better, but also because it allows you to tell yourself that you put the time in. What this does better than any positive affirmation (which does help by the way) is build confidence. If you're wondering what confidence has to do with being able to concentrate and focus, you might want to consider that somewhere in your gut that little tremor of doubt, that little bit of fear will indeed create a conflict in your mind and that conflict will wreck minor havoc with your focus. Lesson Four: Be prepared (practice!) happy calm and confident and enjoy where your darts are at as you get to where you want to be and you will find that your focus and concentration will improve as you do these things. You'll play better and enjoy the game more. Not a bad deal at all. So now that you have all these tools and techniques at your disposal you will want to put it all together. You do not fear the outcome because you do your best and will let the chips fall where they may. You take your time (think of it as taking your space) and make sure you feel stable, grounded and balanced. You keep your eye on the target and keep very still. Especially keep your head very still and your eyes locked on target. If your first shot is a bit off you will resist the urge to look away or to shake your head in disgust or put on some other show of disappointment. Instead you will home in even more. Do not distract yourself and get in your own way and create your own negativity. More than anything else this means forgiving yourself for making mistakes and moving on. Lesson 5: Remember that focus is 'undivided attention' and not 'white knuckled grip' teeth gritting tension. 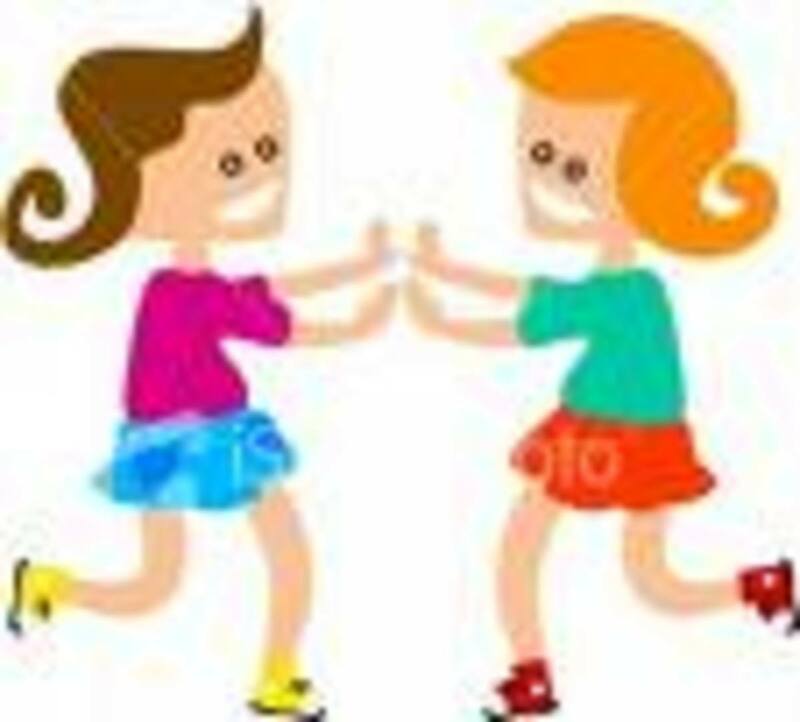 Relax and have fun and mix dedication with patience and forbearance and as you put the time in you will start to see your focus slowly get better and better. Just do not expect the improvement to be linear or always at the same pace, but it will get better just as all aspects of your game can be improved through practice. As you can see the issue of focus and concentration really does cover many aspects for you as a dart shooter. In absorbing all of this information and making it your own it is very possible to let it become a distraction to you. It can be, but also our minds can be convoluted things so save yourself the worry that you will distract yourself by worrying about distracting yourself. Be patient. Be positive. Love darts. 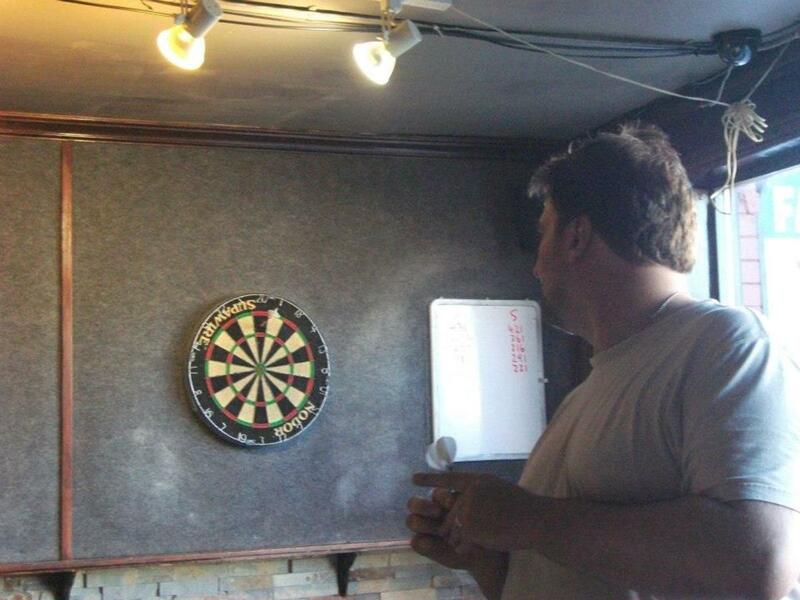 Do you think having read this article will help you become a better dart player? It didnt teach me anything new but was otherwise worthwhile. Been a long time since I've played darts at the comfort of my own home. I was quite good at it but never managed to get a 180. 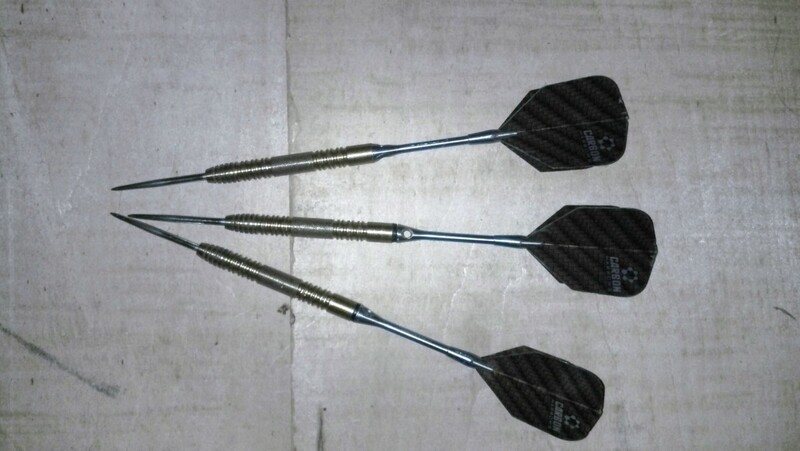 Reading your hub made me remember the first time I played darts. 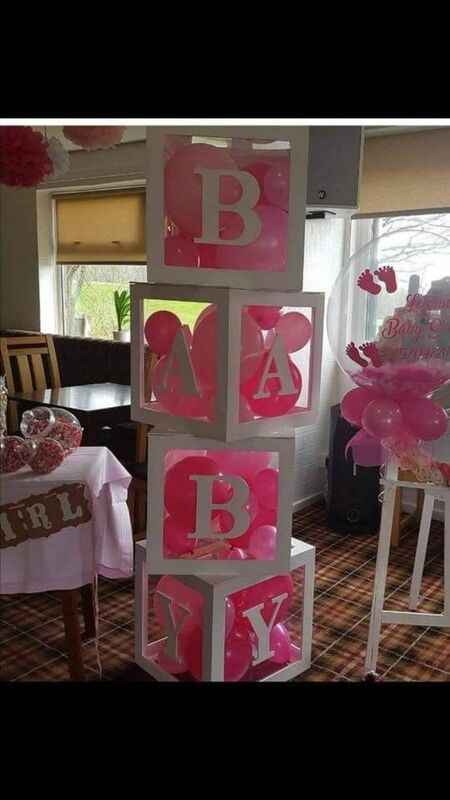 Great hub! I pray to the dart fairy. ;) All kidding aside, you have provided sound advice that this novice dart player will keep in mind. Interesting.. Great article.. I have been expecting my level to be higher than it sometimes is and that made me frustrated.. Now I know little more how to handle these times..
Great tips from a well written article.